As I approach the bend in front of me, a giant yellow sign suggests a speed of 45 mph. I am in 4th gear doing a little over twice that speed, the wind is whistling past, and the 701 Vitpilen feels magnetically planted to the tarmac. I have no intention of letting off the throttle. As I begin to position my body, the Vitpilen follows me as quickly as my synapses fire. I am in my element. I am at the core of my being. In this moment, I am completely intertwined with the machine. This is why I love motorcycles. Just a week earlier, I had the pleasure of riding the Husqvarna 401 Svartpilen and Vitpilen in Santa Monica. While both of those bikes are beautiful entry-level players, the serious motorcyclist or even a beginner might desire something with a little more grunt. For this purpose, Husqvarna offers riders the 701 Vitpilen: the bigger, badder brother to the entry-level 401s. This week, I was extended an invitation to take the only 701 Vitpilen in North America for a spin. Walking up to the 701 is like beholding an actor on a dark stage illuminated by a spotlight. Everything around it fades away as you stare deeply into its aura, transfixed in awe. The 701 Vitpilen is a show-stealer. Maxime Thouvenin, Husqvarna’s Creative Lead on the Motorcycles street project remained steadfast that if these motorcycles were to reach production, that the 401 and 701 would retain a focus on impeccable design. I was told that the Vitpilen and Svartpilen concepts originally began as an art project. 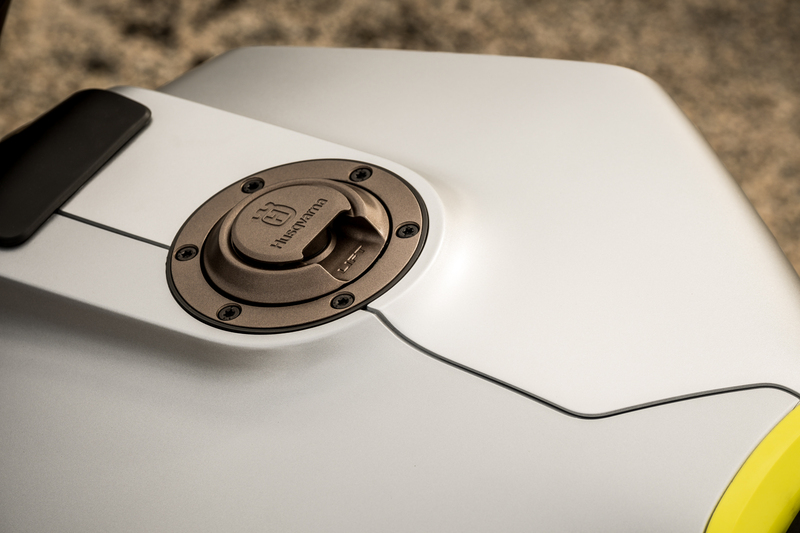 Once the internet exploded four years ago at the unveiling at the EICMA motorcycle show, the higher-ups at Husqvarna decided to greenlight the bikes. Maxime remained adamant that he would only allow them to be made if they kept the same design elements. 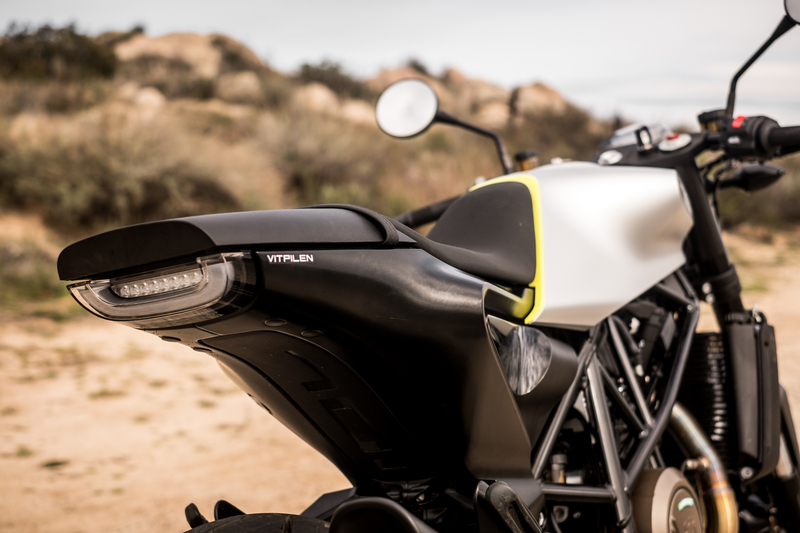 Surprisingly, the production motorcycles, and mostly so with the 701 Vitpilen, are close to identical to the concepts. It's trailblazing and it is highly unlike a motorcycle company to take that kind of gamble. I believe Maxime succeeded and I also commend Husqvarna for taking such a daring leap. 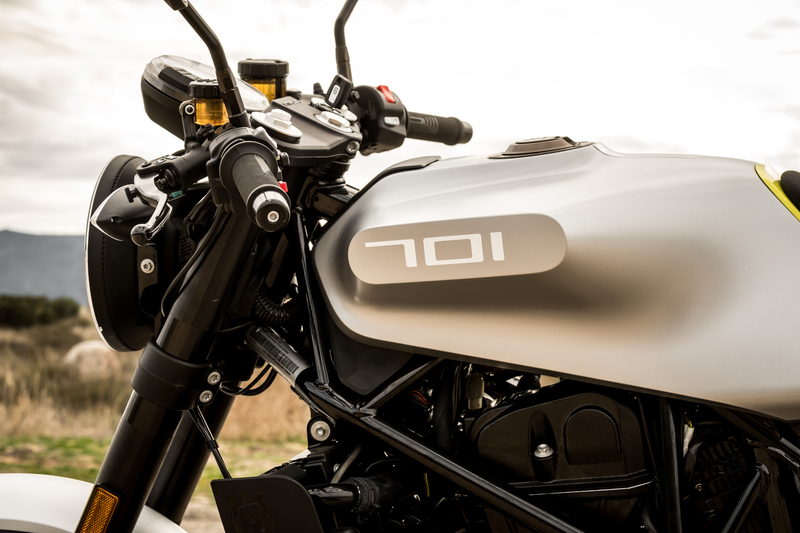 The 701 Vitpilen has the very same engine at its core as the popular 701 Supermoto and Enduro. The Vitpilen is no doubt the more stylish of the three and costs only $400 more than its siblings. I can go on and on about the beauty of this bike, but for now, I’ll simply say the 701 represents everything I visually love about motorcycles. It is a harmonious blend of 1960s retro with the future aesthetic of Tron. 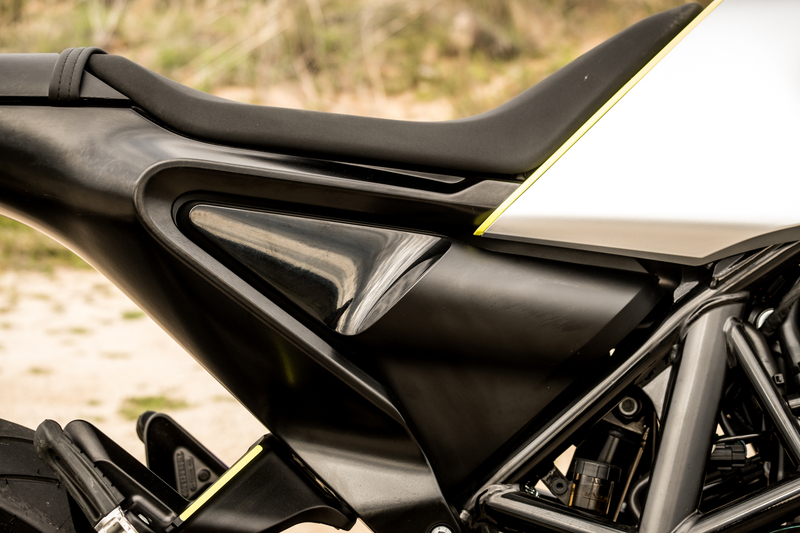 I believe the entire Vitpilen and Svartpilen lineup, and especially the 701, are going to be once-in-a-generation motorcycles that effectively announce to the world that Husqvarna is here to redefine modern street motorcycles for a new generation of riders. But What Is It Like to Ride? The hype around this bike has been stewing in me for more than three years. Today after the ride, thankfully, it met most of those expectations. 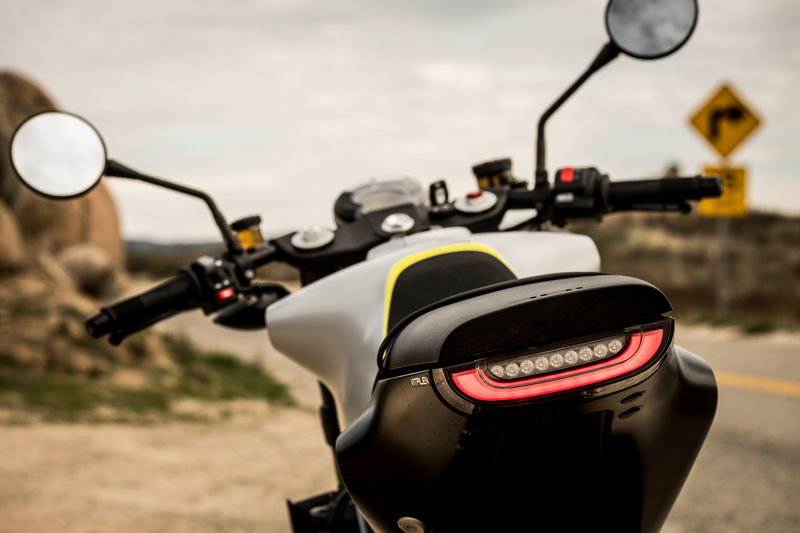 At the heart of the 701 Vitpilen is the tried and true 692 cc single-cylinder 4-stroke liquid-cooled engine found in the 701 Supermoto and Enduro; two motorcycles that have become staples in the Swedish marque’s street lineup. The engine puts out 75 horsepower and 53 pound-feet of torque. 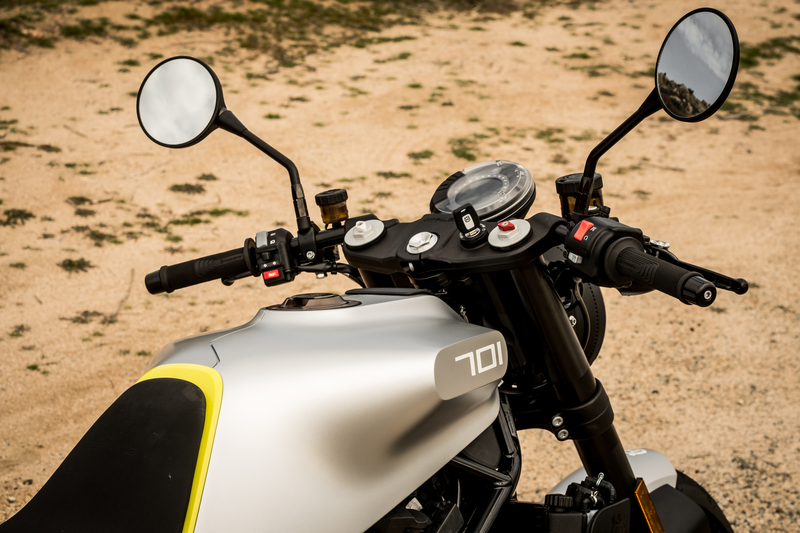 While those numbers are not outwardly impressive, they serve as a magical balance of “just enough power to keep you entertained” and “not enough to plunge you into abject fear.” The 701 Vitpilen is tuned no differently than the aforementioned models, yet the bike’s ergonomics and its riding position create its own unique experience. The tank fits my 6’5” frame perfectly. Instead of being smashed against the tank, my baby-makers are as free as my knees pointing into the wind. 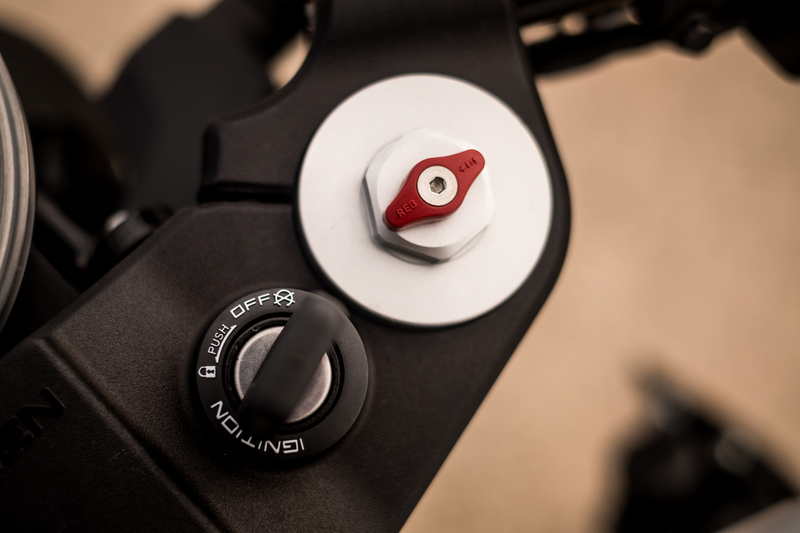 The single saddle allows for freedom of movement, too, and while the clip-on handlebars promote an aggressive cafe-racer aesthetic, the machine maintains a surprisingly relaxed riding position. The design is svelte and from every angle, it just looks amazing. At 346 pounds (without fuel) the 701 Vitpilen is lightweight and nimble. The ergonomics are fun and the engine punches just enough to grant you the confidence when the road begins to twist. The front end features a WP 43-millimeter fully adjustable suspension that uses a split-damping function. Compression and rebound can be adjusted using the easy-access clickers located on the top of the fork tube. At the rear is a single WP monoshock. I chose to forgo messing around with the settings, but my spirited ride with the default settings was more than acceptable. The suspension felt tight and never too soft. The Husqvarna 701 Vitpilen is not a beast of a motorcycle but what it lacks in brawn, it makes up for in it's playful and approachable nature. It tackles backcountry roads with glee. You cannot tell but I am smiling ear to ear under my helmet. As I dove deeper into the rural environs surrounding Murrieta, California, I was escorted by Scott Burtness, the Event Specialist for Husqvarna North America. The route for the day consisted of a ribbony 65-mile loop filled with fast sweepers, a few tight and technical corners, one sketchy road with debris, blind corners, and one errant jackrabbit. Once on the 701 Vitpilen, I could tell I was riding a big, thumping single-cylinder. 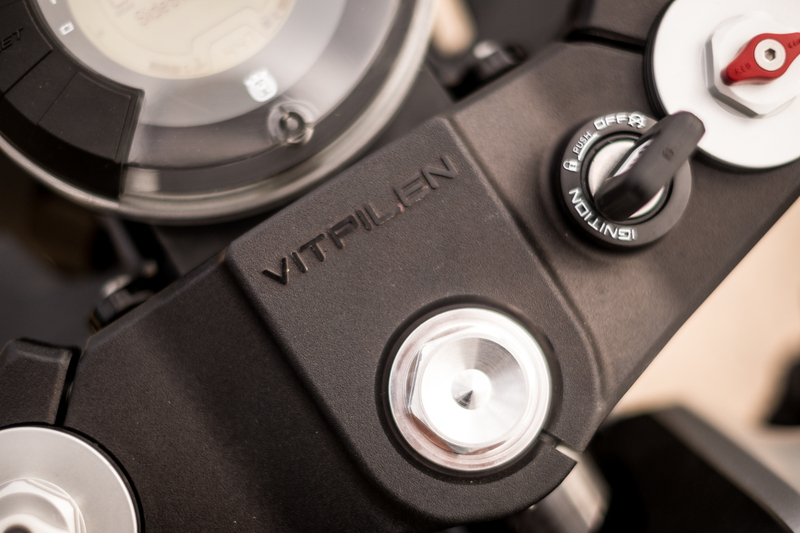 Unlike its little brothers, the 401 Svartpilen and 401 Vitpilen, the 701 vibrates hard. 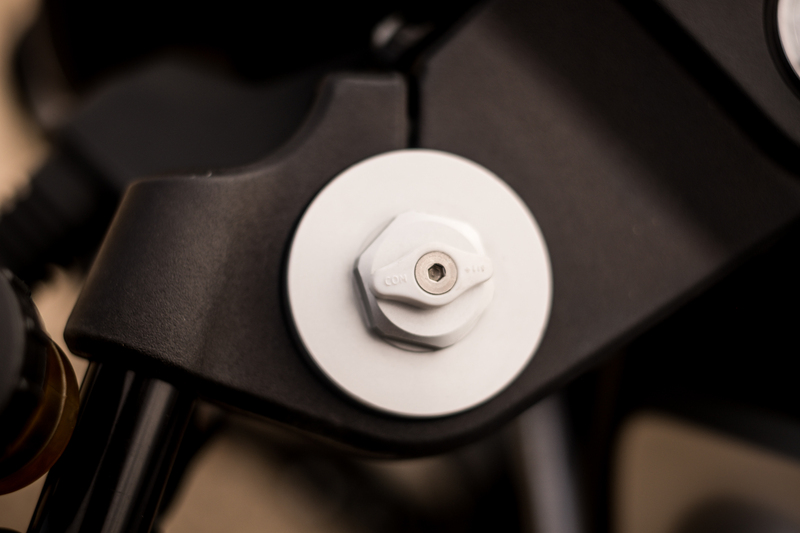 Once the revs move north of 5,000 rpm, however, the second counter-balancer smooths out the vibration and makes for a more comfortable ride. When the road began to twist, that’s where the focus on vibrational comfort departed and the 701 shined. With all things working together, the 701 Vitpilen is perfectly balanced. 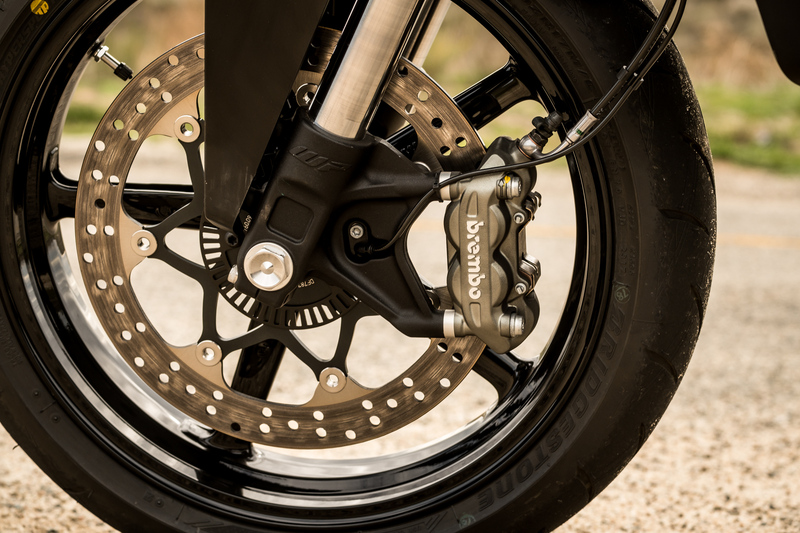 It lunges into turns seamlessly, its ergonomics allowed me the freedom to move around and off the bike, the smooth throttling encouraged me to keep the throttle wide open, and the single-disc, 320-millimeter, four-piston Brembo front caliper and 240-millimeter single-piston Brembo in the rear provided ample stopping power and tactile feedback. I am a big dude, but the narrowness of the tank lets you mold to the slim middleweight. 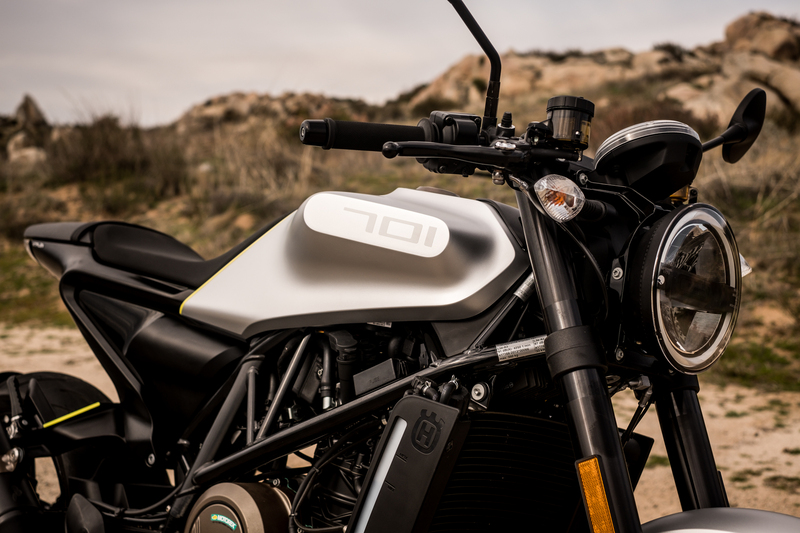 Because of its middle-of-the-road power output, the 701 Vitpilen forces you to focus on your interaction with the motorcycle, especially with regard to gearing on corner entry and exit. Shifting on the 701 Vitpilen is something you will take to doing often and quickly as the bike has a moderate redline of 8,500 rpm. The bike will choose other behaviors rather than forgive or make up for your lack of skill if you fail to set up your turn properly or miss a shift. Though with the inclusion of the Adler Power Torque Control slipper clutch, there is an added confidence when smashing through the gears. The system allows for greater speeds when entering and exiting corners, and the system proved itself by preventing rear wheel instability or hopping when braking hard into a turn. The result was confidence in attacking corners by providing exceptional control. With just the right amount of technological assist, I felt like I was still riding an analog motorcycle. I felt incredibly connected to the 701 Vitpilen, as though the machine was an extension of my neural network. It’s bikes like these that remind me why I got into motorcycles in the first place. Will it make your eyes bleed with outright acceleration? Not at all. 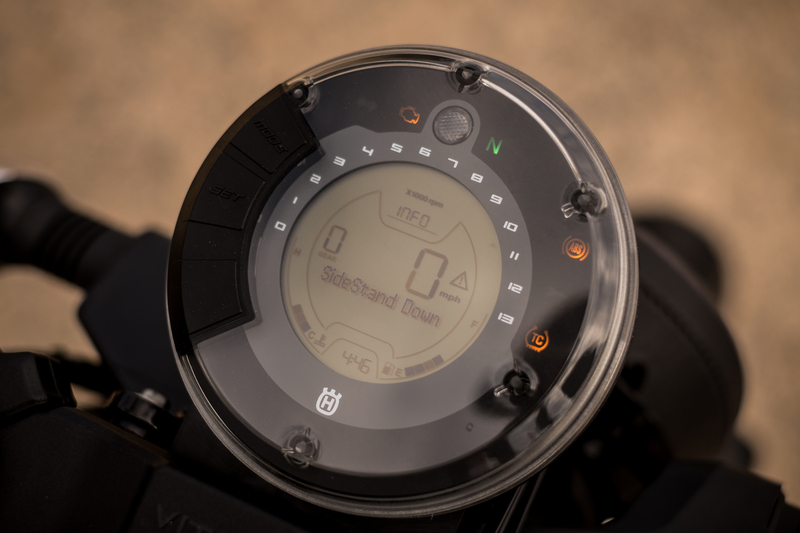 Does it have a slew of rider modes, traction control settings, lap timers, data acquisition, and additional technology to enable you to customize and adjust every little bit of what the bike is doing? Nope, but you can defeat the ABS and traction control for unbridled fun, backing it in, and wheelies! Will you be setting personal best lap times on the 701 Vitpilen? Perhaps, and if you do, you can stand tall knowing it’s because of your skills and not the bike making up for your inadequacies. Here’s the bottom line: The 701 Vitpilen is a blast to ride. The new Husqvarna revealed to me that it’s not about outright performance and power. It’s a refined city bike that’s more than capable of fun in the canyons or on a track. This bike stripped down to its core, is about the ride. It’s made to be pushed a little while instilling you, the rider, with confidence. It manages to distill all the technology, modern engineering, and style into the purest form of motorcycling enjoyment whether you are a seasoned rider or relative newbie. Beyond that, it is hands down, unequivocally, the most beautiful motorcycle made today. For as much as you'll be ripping through the gears and zipping along town. 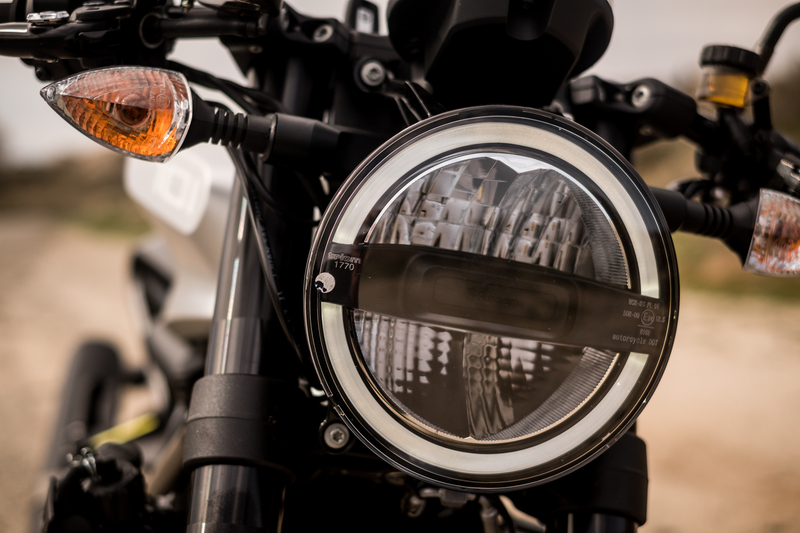 The 701 Vitpilen is comfortable despite its cafe racer ergonomics. 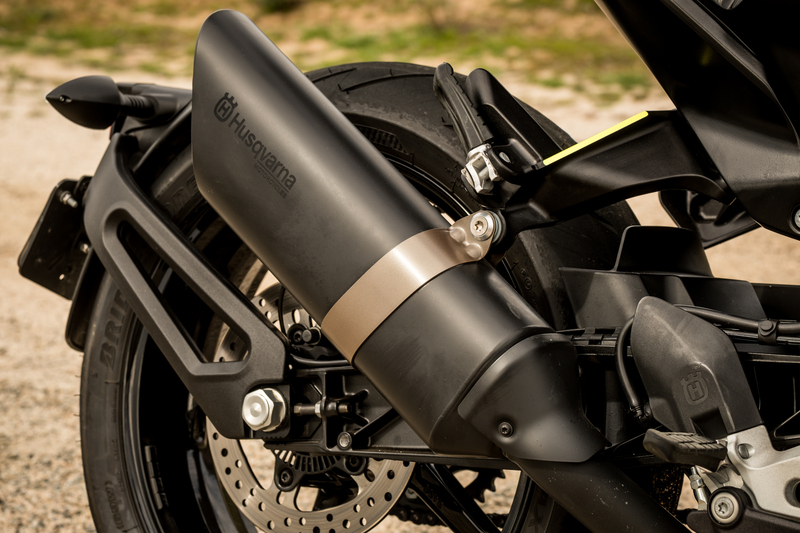 Similar to a fine piece of art, the Husquvarna 701 Vitpilen comes with a premium price tag of $11,999. Expect to see them hitting showroom floors in the next few months. For more information and details on the Husqvarna 701 Vitpilen head on over to Husqvarna.com.